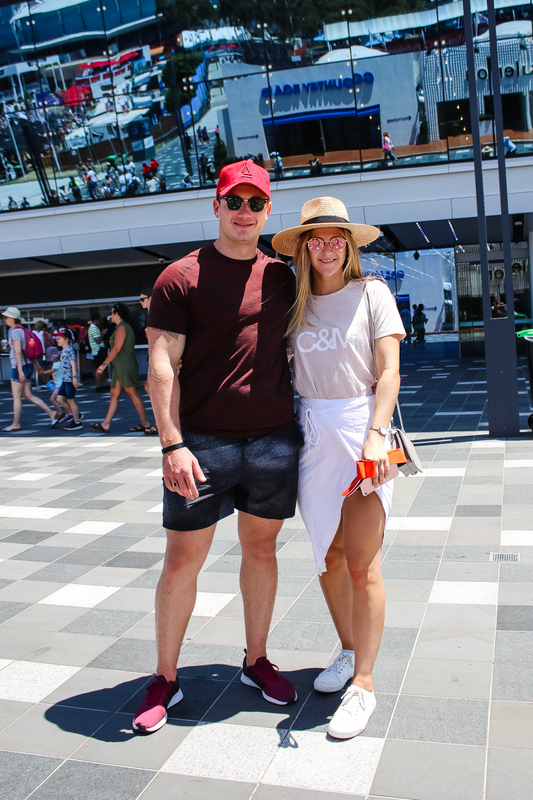 Aussies may be known for rocking the classic shirt-shorts-thongs combo during the summer, but the Casper & Casper team took to the courts this year for the Australian Open to prove that you can be cool in the heat of the match. 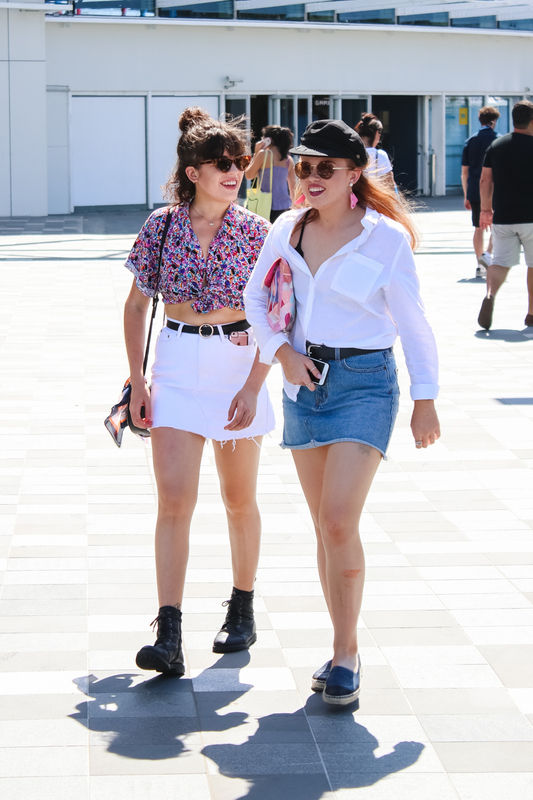 Whether you were chilling at the ballpark or cheering by the courtside, here are a few iconic looks under the sun that we spotted during our Style Stalker watch. 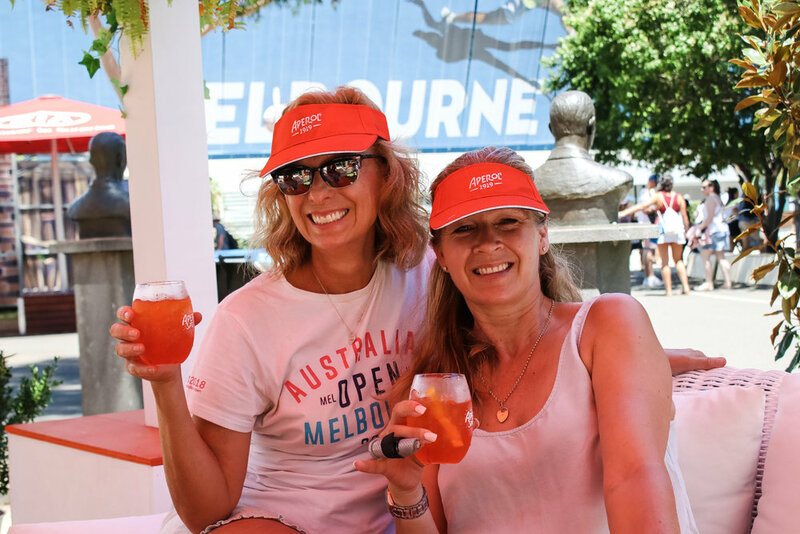 These women are keeping cool under the umbrellas of the Aperol Spritz booth. 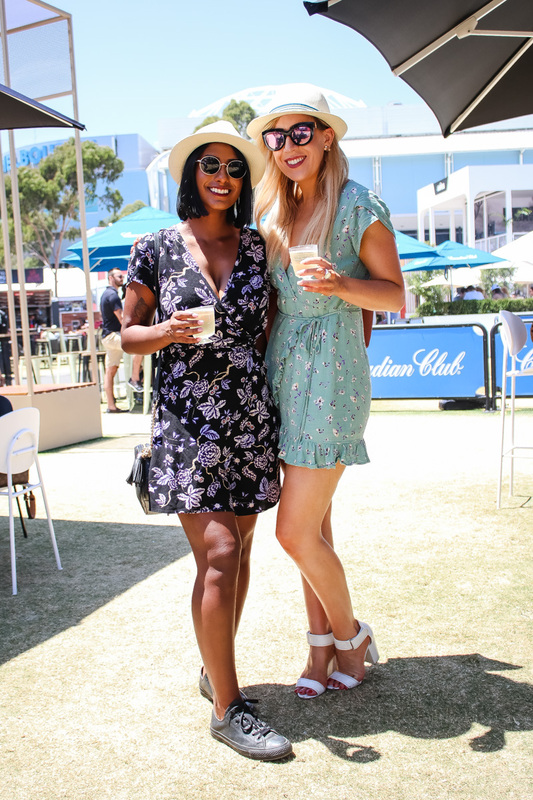 They may not be having espresso martinis, but their outfits are a refreshing change of pace. Being fashionable in the summer isn’t just about showing skin and wearing white. These fresh patterns are so cool to see under the blistering heat! 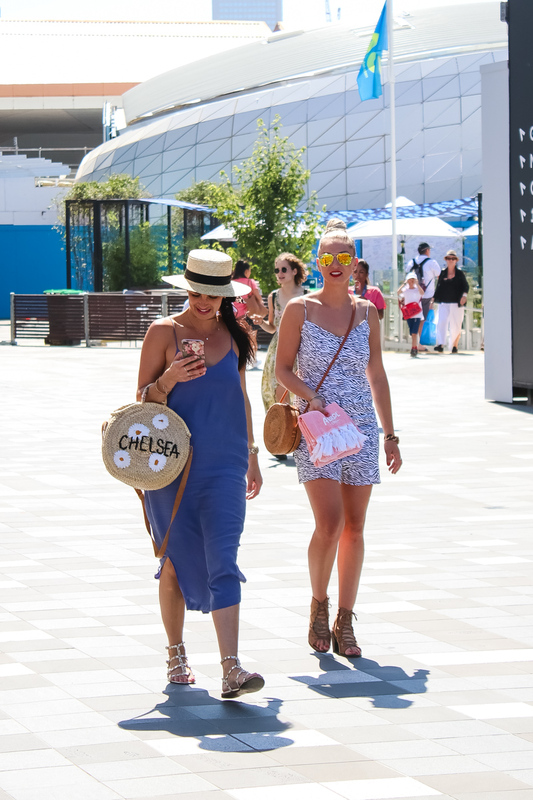 This may not be courtside, but we took our time walking around the Open for the spectacular booths and to take in the awesome summer vibes. 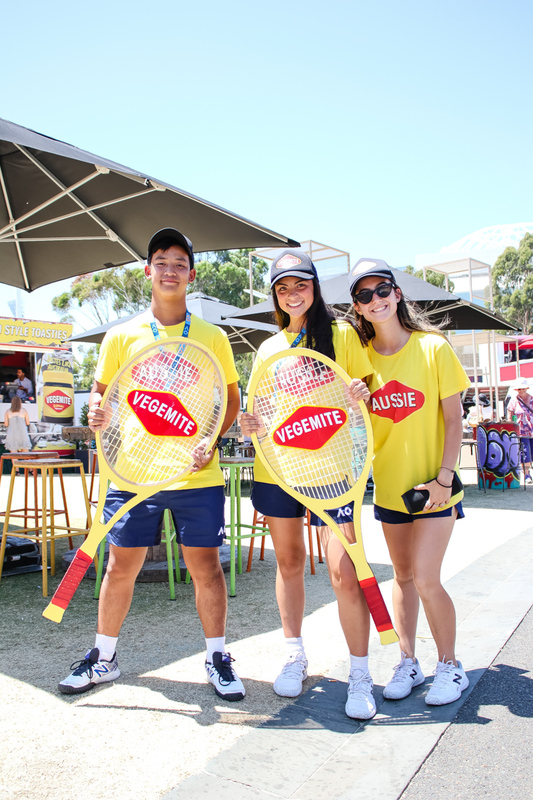 We caught some performances, a special appearance by the Vegemite kids, and had a small photo shoot of our own. For those of you who don’t know, there are more courts than the well-known Rod Laver Arena and Margaret Court. 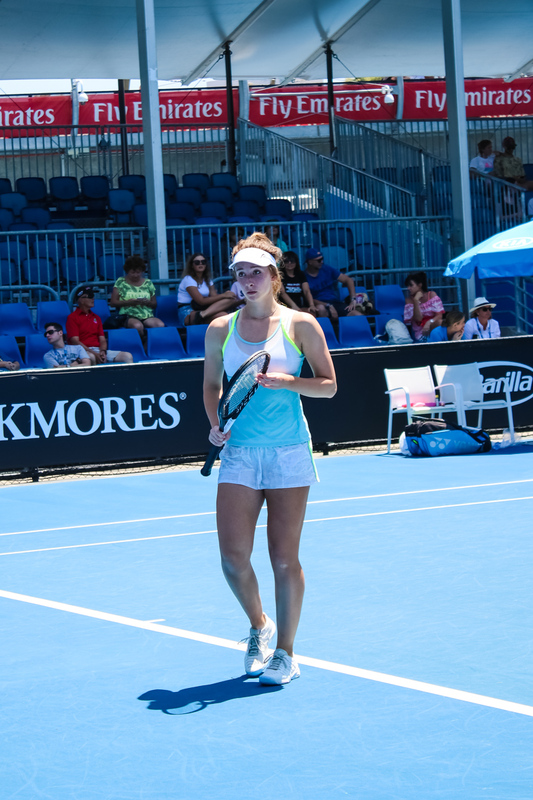 While the big matches were being played out, we peeked at the smaller courts to see the up-and-coming players. 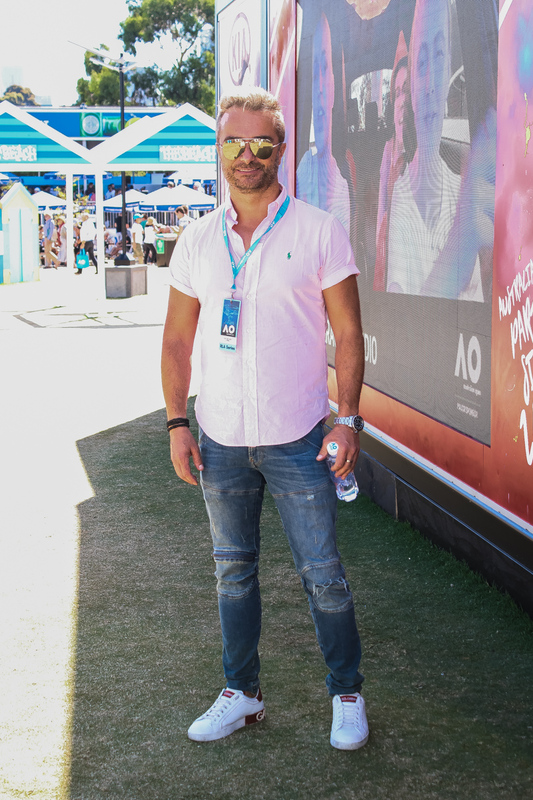 We also saw Anna Wintour during the quarterfinal between Bautista-Agut and Tsitsipas. As hot as it was, there’s no doubt that you don’t need a big umbrella to pull off a cool look in the summer.